Veleiro Villa: 1 quadra da praia, com brisa do oceano! Este 2 quartos / 2 banho completo é um apartamento fácil de 150 (!) metros da praia. Tem uma localização central, com acesso rápido ao Del Mar Race Track e Fair Grounds, trilhas, parques, ótimos restaurantes e acesso fácil à rodovia. Se você não quiser sair da praia ou mesmo da casa, aproveite o espaço e as TVs de tela plana e a brisa do mar. Calendário e fotos sempre atualizados. Móveis e banheiros última atualização no final de 2017. A praia é magnífico eo clima incomparável. A propriedade fica a 5 casas da areia que está longe o suficiente para estar fora da agitação, mas perto o suficiente para apreciá-lo em minutos. Legoland, SeaWorld, San Diego County Fair, Del Mar Race Track eo Jardim Zoológico de San Diego são um deve ver com crianças. Caminhe até restaurantes, lojas (Cedros Design District), e trilhas. Venha desfrutar o paraíso !! Você não vai querer sair. A great place to stay. A super location and well appointed with everything necessary for a great holiday, and close to all amenities. The owner, Brenda, is very responsive and went out of her way to ensure our stay was memorable. The unit easily accommodated my wife and self, our daughter and son in law and their two young boys. Enjoyed our stay , Brenda is an excellent manager , she is extremely responsive when contacted. She even send us a message when she hadn’t heard from us after a week asking if we needed anything , we have never had that happen before in dealing with other managers ! This pet friendly condo was a perfect choice for our family visit. The friendly and attentive managers made sure we had everything we needed to make our stay enjoyable and memorable. After a full day we came home to a comfortable living room to relax and at the end of the day we fell asleep in the most comfortable bed we have ever slept in! This condo is centrally located to all the activities one would want to experience coming to the area. We highly recommend this condo to anyone looking for a wonderful get-away near the beach that feels like home! The Sailboat Villa was absolutely perfect for our multi-generational Christmas trip! The condo is spacious and immaculate; looks and feels brand new. We were all very comfortable sharing all parts of the house, including our two small dogs. We are quite familiar with the area, but the location is better than we expected. The beach is a few short steps away and the little views of the ocean from the front porch were surprising. The location is also great for driving to the best shopping/dining places in the area. We didn't need to communicate often because everything was in great order, but Brenda was prompt with answers when needed. We'd love to return again or try another of your places on a future visit! We were very comfortable with our teenage daughter and doggy at this clean, bright and nicely set up condo! The location is the Best - just a few blocks to Dog Beach for dog romping and for watching beautiful sunsets. 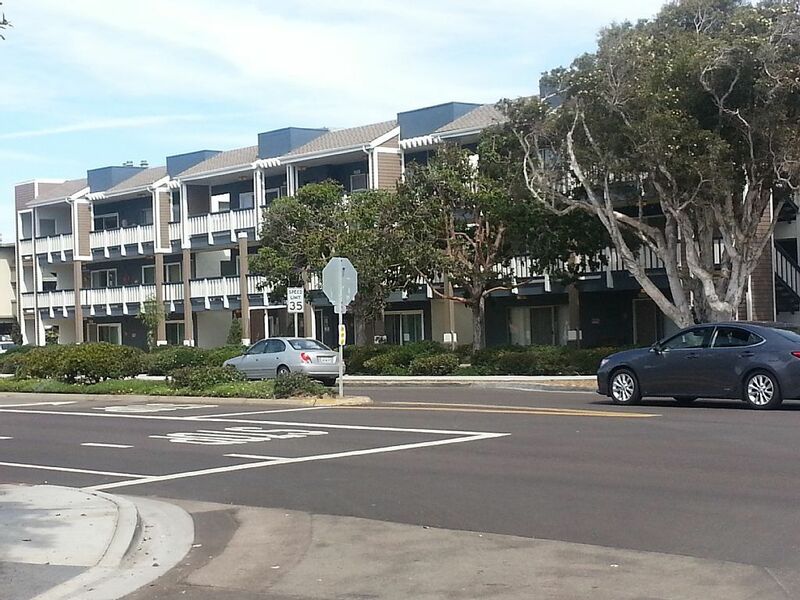 Close by are Del Mar downtown and El Cedro shopping area for browsing. The condo was well stocked and the beds were very comfortable. Brenda, the manager made sure all are needs were met and was available if we needed her. Hope to return here again in the future! Wonderful location in Del Mar. Nice breeze, not too close to the hustle of the beach. Há tanta coisa para fazer em San Diego! Você pode relaxar na natureza na praia do outro lado da rua ou caminhar ao longo das trilhas sem fim à sua porta ou vá até uma das muitas atrações de renome: Legoland, Sea World, San Diego Zoo, Birch Aquarium, Balboa Park, Gas Lamp District ou uma das muitas áreas comerciais. Rates are subject to change until reservation is confirmed. All fees are fully refundable until 60 days before the arrival date. If cancelled inside of 60 days, refunds will be offered if the property is re-booked at the same rate.